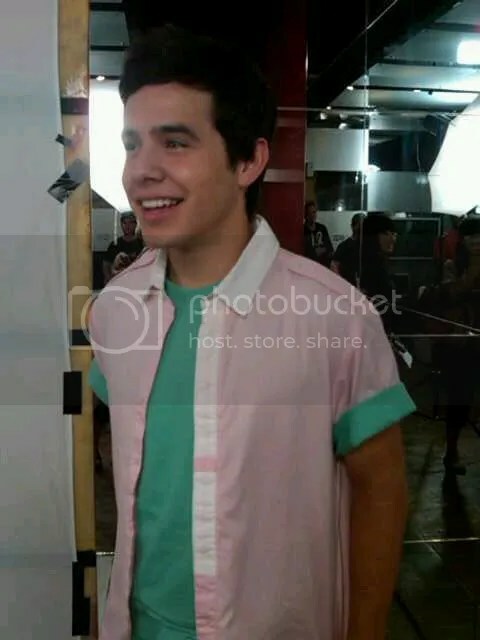 This entry was posted on Saturday, July 13, 2013 at 12:55 PM	and is filed under @DavidArchie, David Archuleta. 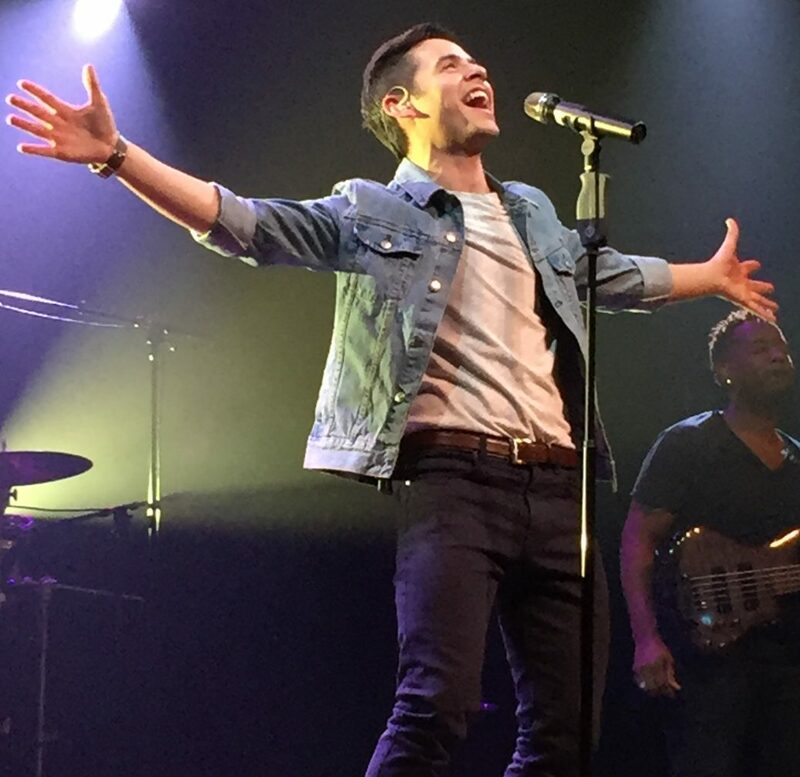 Tagged: #DA2014, David Archuleta, hot air balloon, missing him, No Matter How Far, Utaaah!! 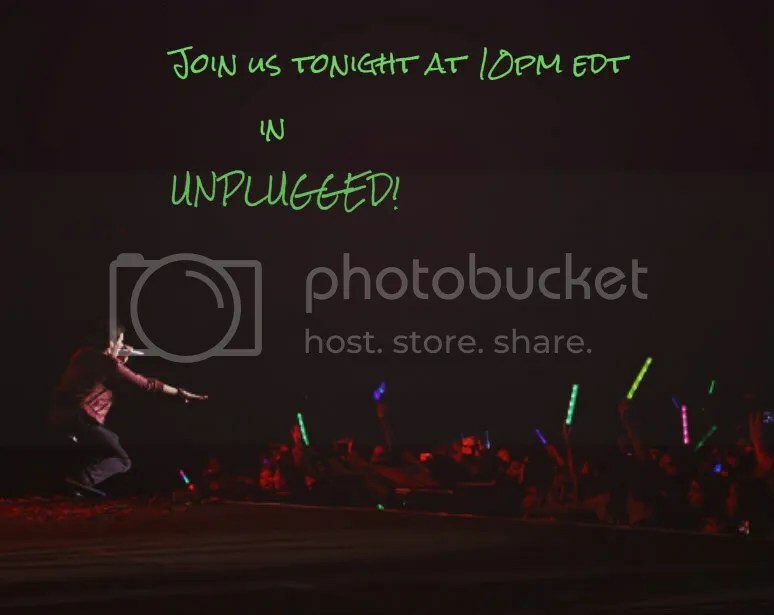 !, We'll Be Here. You can follow any responses to this entry through the RSS 2.0 feed. You can leave a response, or trackback from your own site. I have only one word: Brilliant!!!! Love you both so very much, dear Dayzee and dear Angelica. He for sure will be there, I have not a doubt. And we carry streamers of his inspiration with us when we rise… in any form… to these new challenges and occasions. I wouldn’t be surprised if we get a photo one day of David in a balloon, or (heaven help me cuz I’d probably have a heart attack) jumping out of a plane. I think he’s a bit of a daredevil at heart, too. 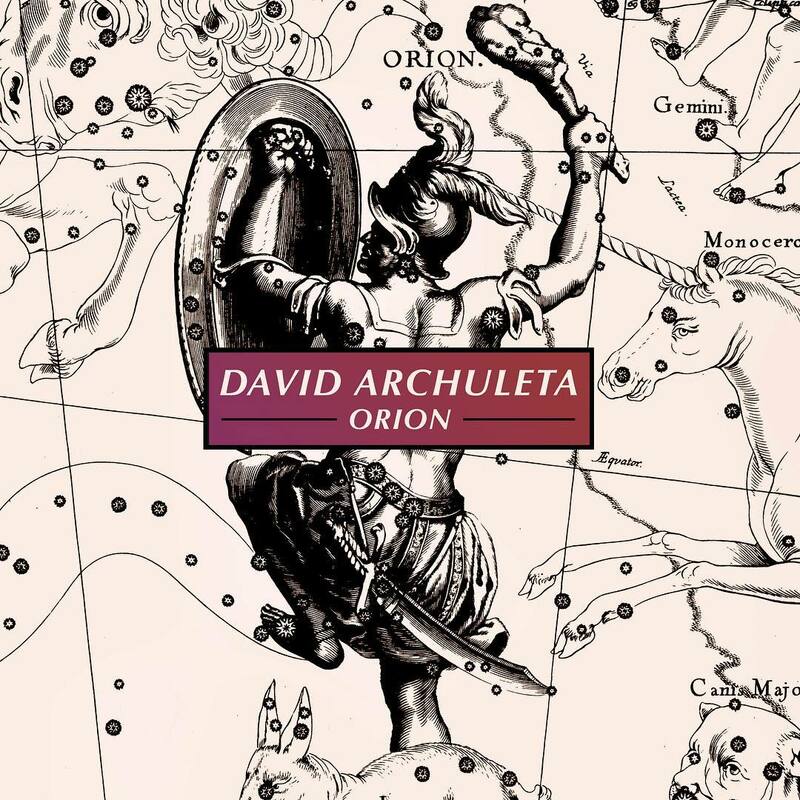 Love the edits (yep, almost anything can relate back to David) and as always, your artwork is beautiful. Thanks again for a fun article! Dayzee, you are so much fun!!! I’ve never been on vacation with you, but I’ve done some time standing around at David concerts with you, and there isn’t a dull moment in that time! 🙂 What a fun grandma you are to take your g-daughter out and about like that. I don’t know where you get your energy, girl!! Thanks for sharing you trip with us. Utah scenery is gorgeous!! I need to make the time to see it more often. I knew this was going to be a fun and inspirational story! 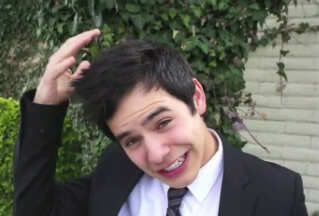 You are living your life to the fullest just like David does. The pictures you took are simply beautiful. Love the one of you and your granddaughter in the basket. Thank you for contributing to The Voice by sharing your day with us. I love the top picture of David’s face inside Dayzee’s balloon. So good! Your text edits are just right. 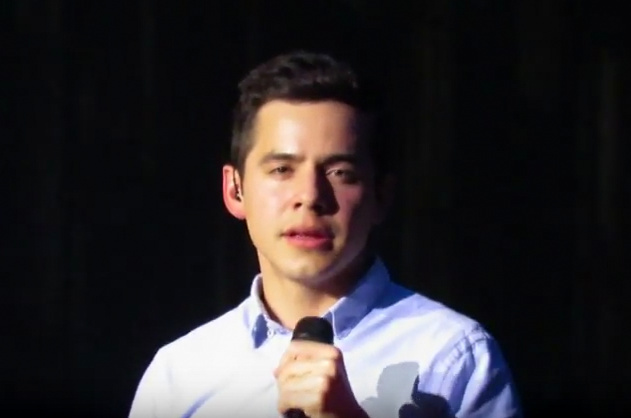 I found a video of David talking about the I-Fly experience and some pictures. The scenery has to be spectacular. Fun to have David along for the ride! His wish almost did come true. 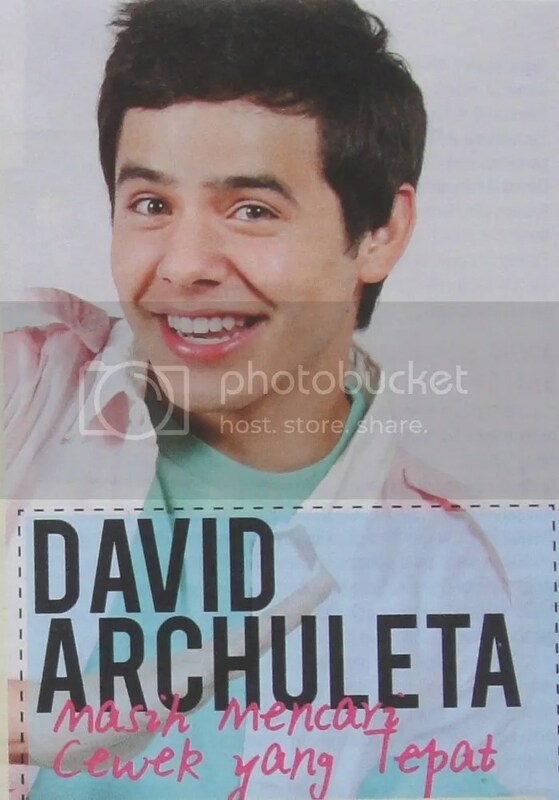 If you recall, David was scheduled to take a balloon ride in the afternoon of his American Idol homecoming. Weather became too windy, and I remember at the time, I was fearful. The ride was canceled, but the rest of the day was perfect. “up, up” very early in the morning “and away” 1800 miles from Utah! 5:15 David “whisked” off to Utah Jazz Game to sing The National Anthem. I knew you’d find them! Those are exactly the ones I was thinking about. Thanks bunches!! Thanks for that info. I had forgotten he was scheduled to go up in a balloon. He must have been really disappointed. I hope he gets to go after he comes home. And I hope we get pics! Angelica you are just amazingly funny! Thank you for your “color” comments. MT, my son and his sons and I go skydiving together. The first time they went without me. When I scolded him for leaving me behind he told me he had been so scared he was afraid he would not make the jump. Did not want me there pushing him out of the plane. Haha. Since then we have done the jump 3 times. 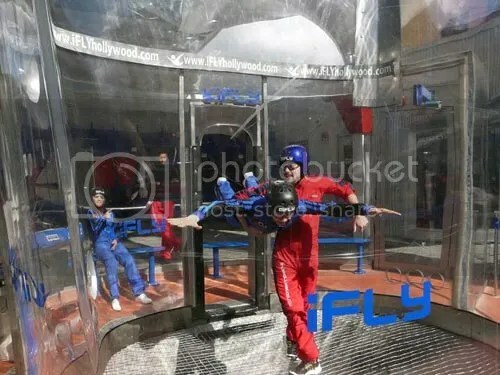 Great pic of David in his iFLY helmet. See how happy he is? Tawna, we have had some great moments with David, haven’t we? Now, that is a rush that beats all others. Glad you mentioned the Utah scenery. Bluebar, I had forgotten about David’s failed balloon ride. Surely another opportunity will arise. Abrra, thank you for encouraging me to share. Forgot to add that I enjoyed your family story too and the pictures from the balloon were excellent! Dayzee…David is an inspiration but you are one just as good! Seriously, wow, could I do half of what you do? The article was refreshing and once again inspirational! Hey looking for something enjoyable to read this evening and here it is! Thank you for taking us inside the hot air balloon with you. I’ve never been on one but have always been fascinated with them. When my daughter was born we used the a hot air balloon motif on the birth announcements as in, “Look Who Has Arrived?” But that’s only on paper. You were brave enough to ride the real thing! Your pictures are wonderful! You, my dear, are an inspiration to us all. Your inserts were so comical, every one of them! David’s cousin Vanessa and his Abuelita do a duet! Gladys or Djafan please tell us what the song is about and what does Aubuelita say ? Dayzee, what a wonderful article – I loved seeing the old pictures of your parents and their homestead. You and your granddaugter share David’s adventurous spirit, one that I am envious of. Skydiving? Seriously??? i enjoyed reading about your excursion as i’m in the midst of planning my summer vacation. 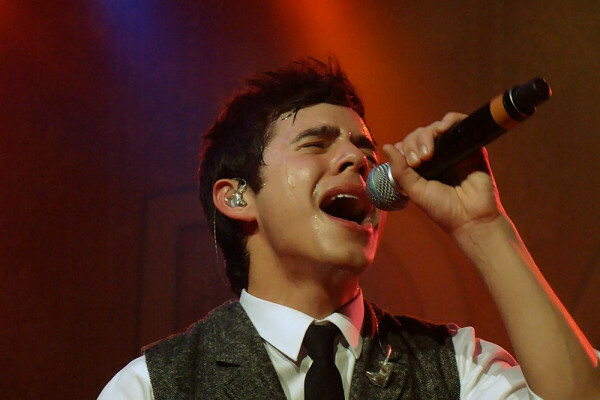 another tie this article has to david relates to the posting of the lyrics to the song “get here”. that song was written by singer/songwriter brenda russell. david took a picture with her back in 2010 when he saw fantasia and latoya london in the stage version of “the color purple”. russell co-composed the music for the production. 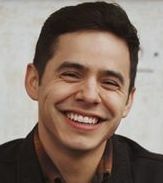 I really enjoyed your story and added comments … And isn’t funny how we can relate so many things back to David — I really enjoyed this and what a great family experience. Thanks to all who took the time to read about my balloon ride, and thanks to Angelica for making it interesting. C’mon Jan, get out of that plane. I’m sure you would love it. SB, you are an inspiration to me. I so admire your support of David and all good causes. Bebe–so your daughter arrived by balloon instead of stork? I like it. Abrra, loved seeing Vanessa and her (and David’s) abuelita having so much fun singing together. Family stuff is the best. When my grandson was about 2 years old I was rocking and singing to him. He tapped me on the cheek and said, “Grandma, don’t sing.” That pretty much ended my singing career, but we are still good friends. Emme, I appreciate that you enjoyed those old pics. My mother is the one wearing a hat and the baby is my big brother. That old car was driven 30 miles every weekend to the dance hall in Cisco, also a ghost town now. Desertrat, I’m certain your vacation will be great. Anyone who answers to Desertrat knows how to have a good time. Betsy, I have always wanted to fly. As a child I wished to be a bird, but the diet deterred me. Isn’t it fascinating how a town that was once vibrant can be reduced to crumbling foundations? Evidence of drastic change in many lives. I hope there will always be ghost towns to explore. Trudy, you are correct. All things relate to David. It’s so difficult conversing with people who do not understand that concept. That is why this is such a comforting place to be. 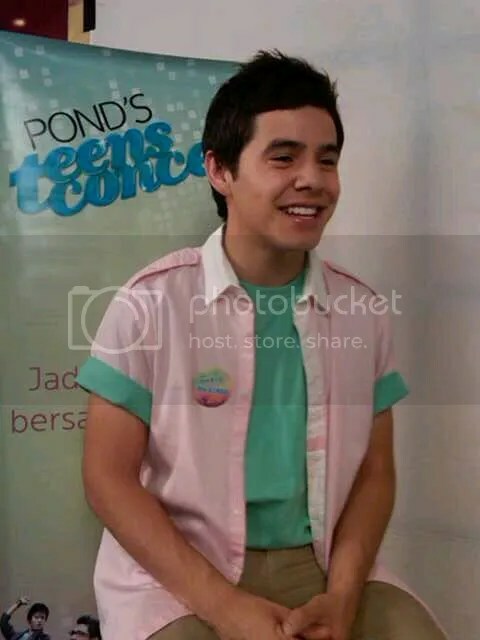 Angelica, You knew exactly what to do to relate this to David. It is so hard to keep David out of every conversation irregardless of the topic lol. I really enjoyed this entire post so much, thank you. 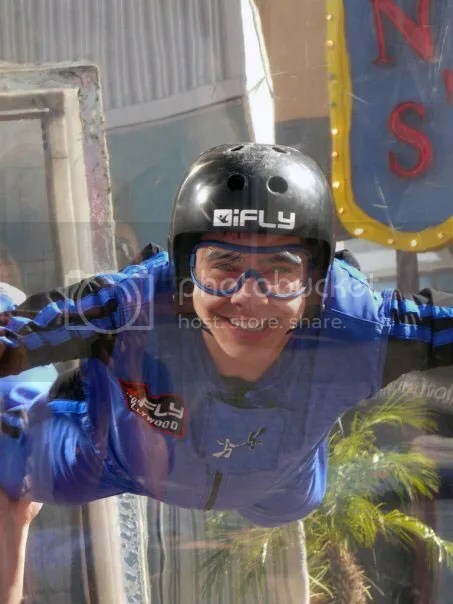 Abrra, thanks for bring those ifly pictures, I love the joy in David’s face. He sure does know how to cherish the moment. Dayzee, your mother looks lovely and gosh, she is so beautifully dressed! I love looking at photos and hearing stories about those times. I love how strong the sense of community was – imagine driving that automobile 30 mi every weekend to a dance! I decided to burn a CD with some of my old, non-David, favorite songs as well as some of my most favorites of David’s. Thought I would just mix it up a bit, try a little variety. It’s the spice of life, right? 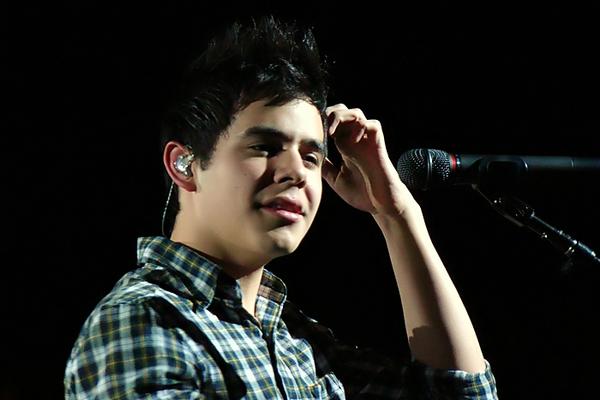 Well, not so much – I ultimately end up skipping past all of my old, non-David favorites and go straight to him. 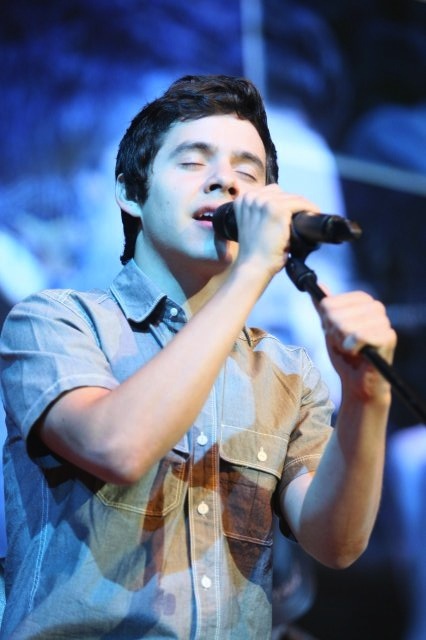 I can’t help it – I am addicted to that voice. Nothing else will satisfy. abuelita dice: vamos a cantar esta canción a continuación, por que le encanta a una personita que yo adoro, ustedes saben quien es. 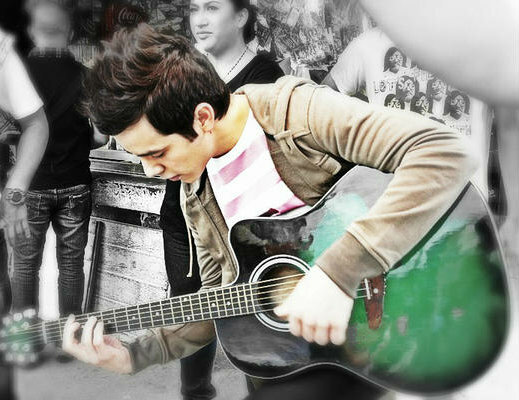 Let’s sing this song, This song is liked by person that I love, you know who he is. I can still feel your hands caressing my skin. I call her by your name. Being with other people and still in love with each other. Thanks for the translation Gladys – it has piqued my interest. On 15 July last year, it was a beautif Sunday. I was in Chile, Rancagua, was the happiest day of my life. 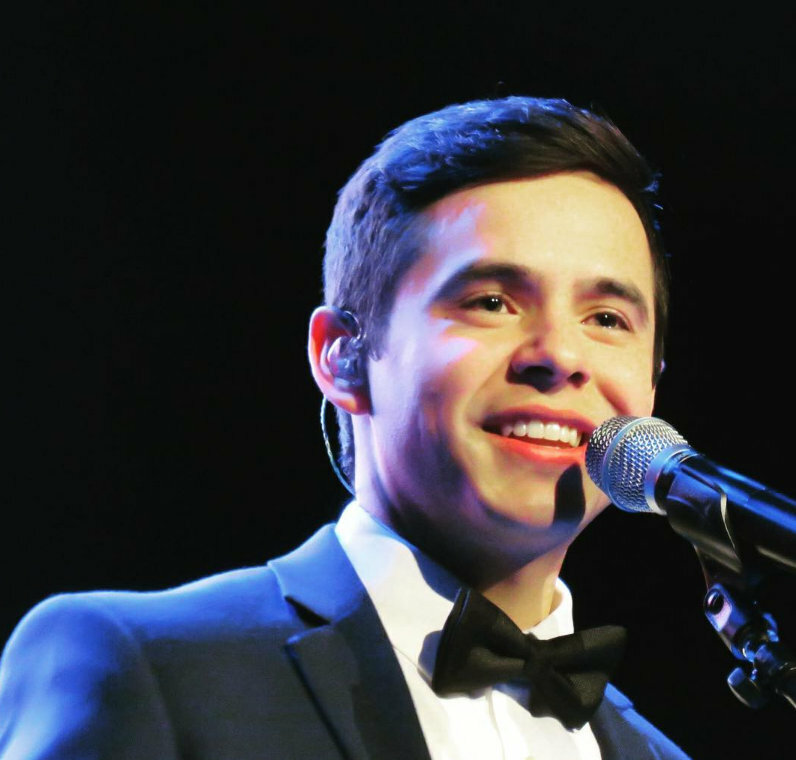 It was the first time I saw David, he sang five hymns in Spanish. It was an experience I will never forget. 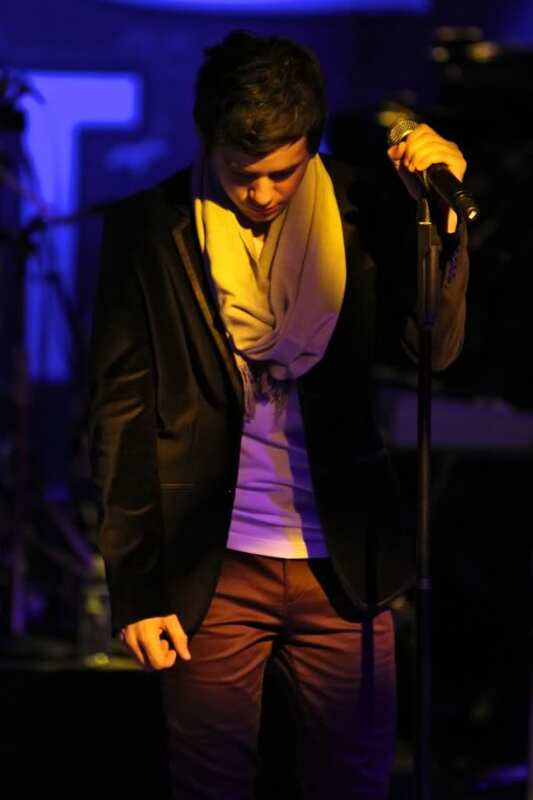 David’s voice was so pure, I thought, I do not need to be of the same religion, I can understand the message. Hilarious! Watch til the end. I wonder if Idol producers ever told David the effect he was having. I forgot to acknowledge Josh Bradley’s birthday. Happy Birthday, Josh! It’s 24, right? I envy you! You are one gutsy lady! What an adventure!!! I’m afraid of flying on an airplane, more so riding a hot air balloon. And skydiving?!!!! WOW! I love all the pictures, too. You are such a hoot! You can relate anything to David. You were probably good in “filling the blanks” in school or the game “finish the sentence”. LOL! Abrra, I would’ve loved to see them dropping. Did they not know then? Aww nevermind lol. 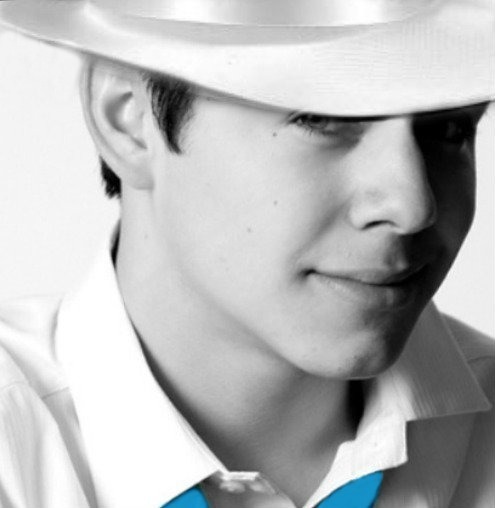 Phrase: Always In Our Hearts David Archuleta All caps!!! 20…Dayzee, uh, uh, not me!! 🙂 When I’m flying, it is a scary feeling when I think that only about 4 or 5 inches between me and the window are separating me and the “wild blue yonder”! 🙂 I just don’t dwell on it. 23…Loved the duet with David’s cousin and grandma. Have to say the song is rather different. Wonder who wrote it? 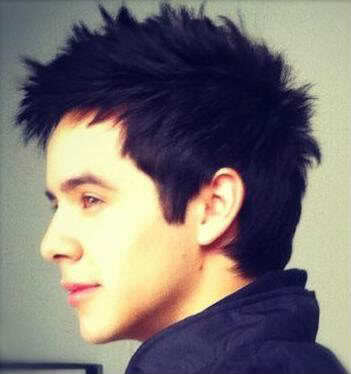 It’s hard to believe that a year has passed since you met David for the first time! Ready for the Trending Party! Happy Birthday to Josh Bradley! Happy Anniversary Gladys. 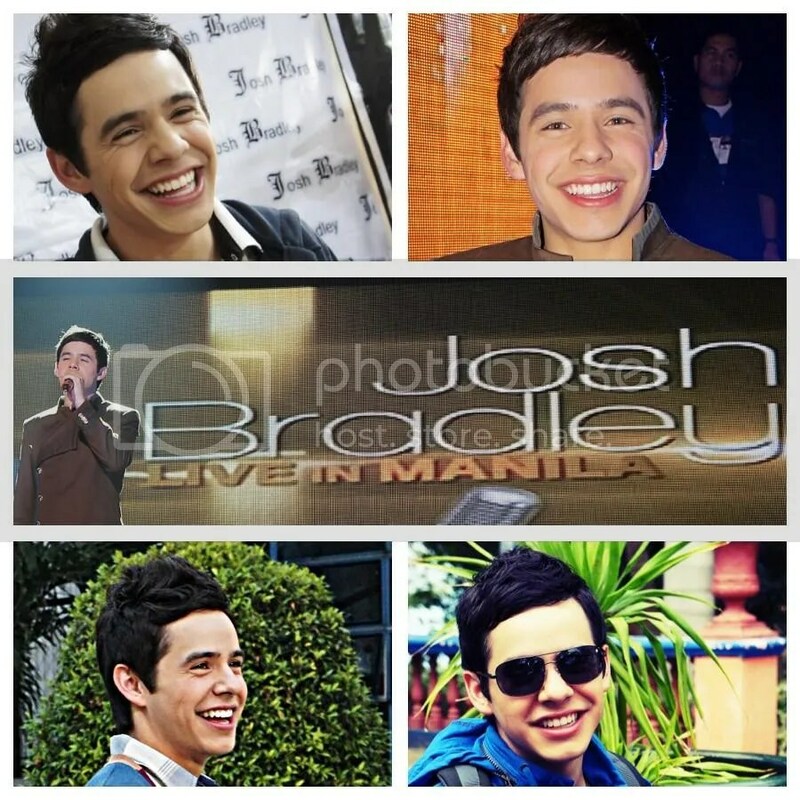 The best parts of our lives are marked by David events. Thank you for giving us the lyrics to Vanessa’s song. Much better when we have a clue as to what the song is about. My son is not doing well. Am spending a lot of time at the hospital, leaning on David music. been away from my computer for a couple of days.. going to hold my comment for now. Lean on everything you’ve got, we’ll be here to hold you up. Sending prayers for your son, Dayzee. Remember that we’re here for you. Whoops, Dayzee, not Daisy. Am at work and trying to hurry. Dayzee, love your article and all the pictures! You are a daredevil aren’t you! My prayers are added to everyone’s for your son and your family. Angelica, that balloon picture is amazing. It is now my desktop picture. What a handsome guy he is! Join us tonight for Nandito Ako at 10PM Eastern. Dayzee, I’m so sorry to hear he’s not doing well. I will add my prayers for your son, and you and your family. Thanks to everyone for the good wishes and prayers. They are truly appreciated. I feel blessed with great friends and family. It means a lot to me. I am so sorry to hear about the situation with your son in the hospital. My heart goes out to you and your family. I will be praying for you and your loved ones. Thank you so much for letting us keep you in our thoughts. Thank you for sharing your time in a balloon with your granddaughter. What a wonderful past you can feast upon from having lived so fully in the present. God bless and comfort you and all your family. I pray your son will be restored to you again soon. Remember Dayzee, that parachute will always open. Great JR videos from the Philippines. It was such fun to see that little dark spot in the center of his Tshirt grow into a sweat heart. I think there is a special message for Skydancer in there somewhere. 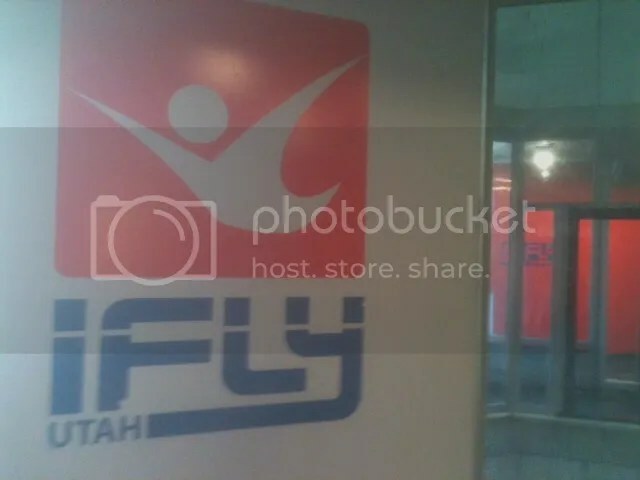 Was looking for a place for lunch while I was in Ogden City when I saw a large “iFLY” sign on the building. Went upstairs, and there was a chamber that looked like David might have been there. But there was no palm trees. On closer examination his picture has iFLY Hollywood written on it. Shucks. That chamber was 4 stories high and the noise from the air flow could be heard for a block from outside the building. My son’s condition does not change much, but I will let you know when anything terrific happens. Thanks to all for your support. Parachutes are a good thing. 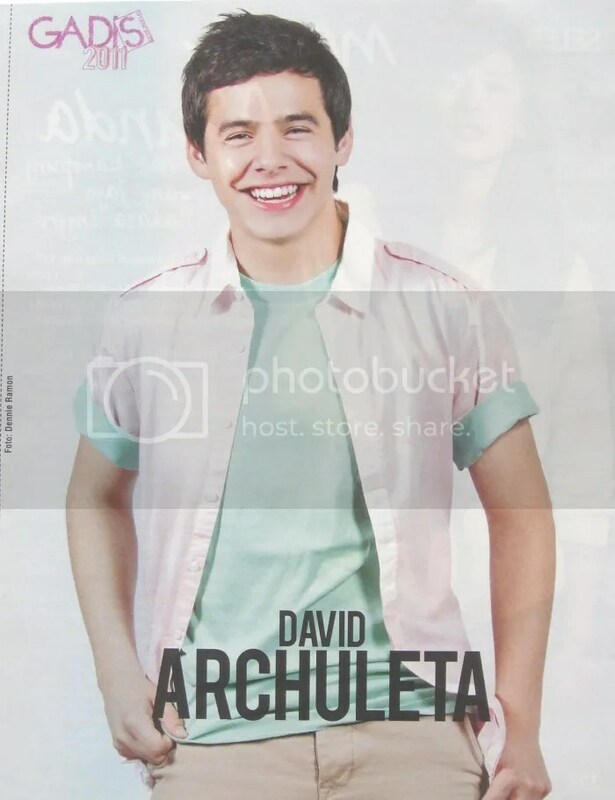 Here are some scans of from August 1, 2011 of David Archuleta featured on Indonesia’s Gadis magazine including bts pictures! 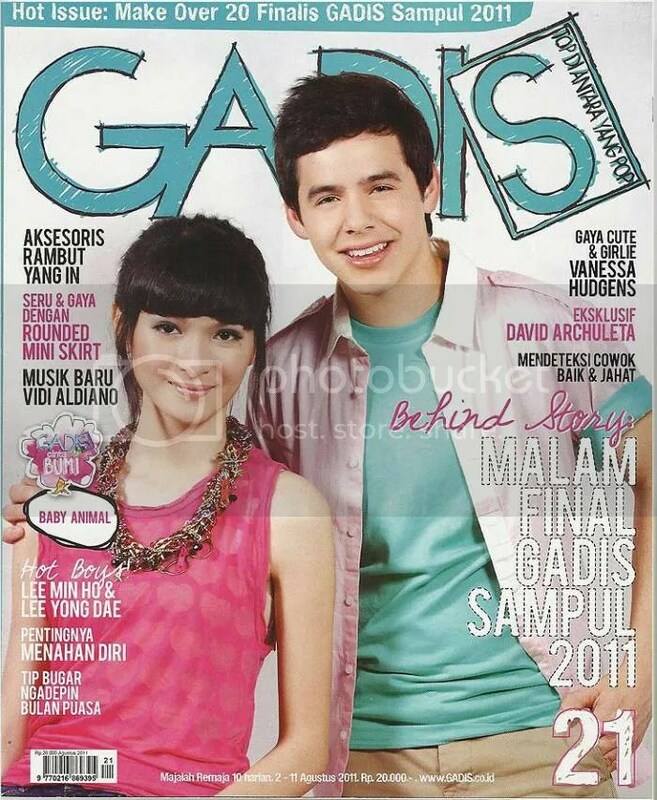 Thanks to @wulanhandayani for the scans! Oh my heck! I just got this in my email. 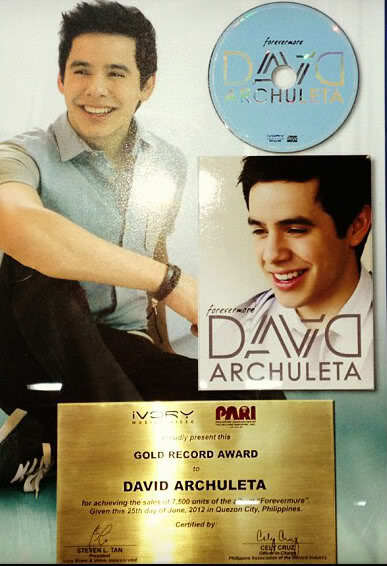 A fan who took the time to show off his David Archuleta CD collection. 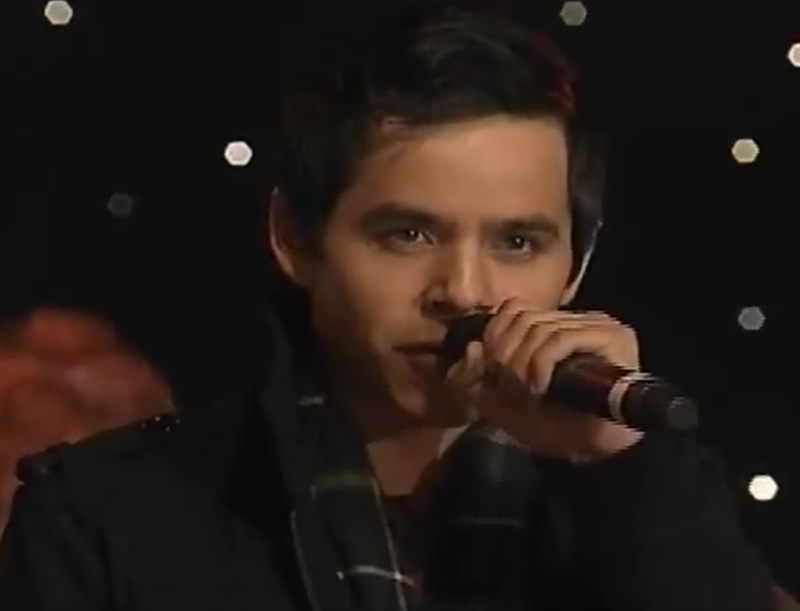 He give a personal message to David at the end that is so sweet. I hope he gets to a concert in 2014. 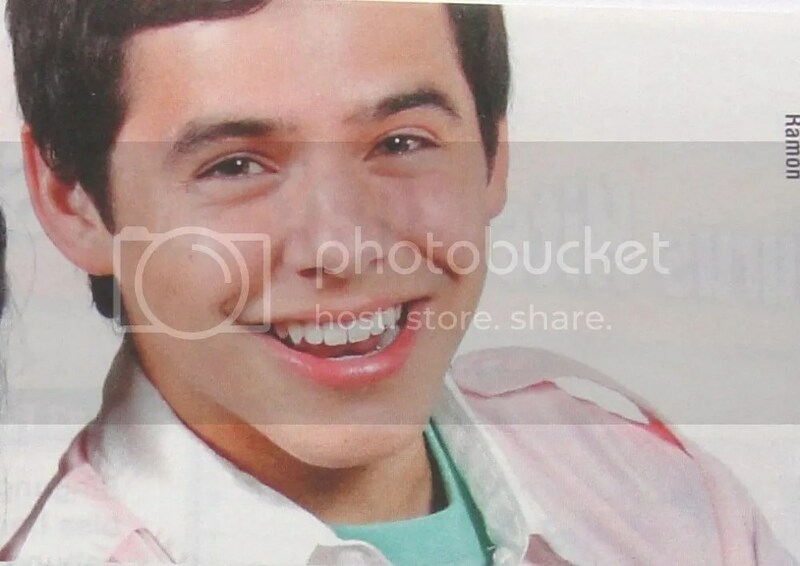 This is my video on my David Archuleta CD collection and I know this collection of mine is small. 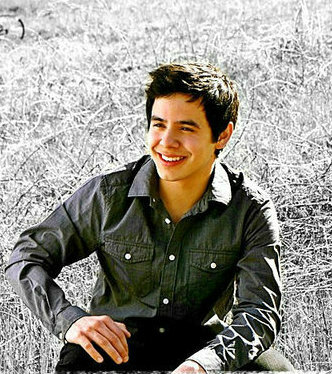 David Archuleta is one of my favorite male singers and I’m so inspired by him. 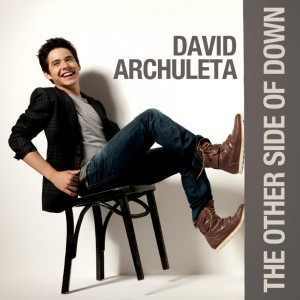 His first album CD that’s self-titled is my most favorite one. It was released in November 2008 and as I said I was at the start of my senior year. And the album became was one of my highlights of my senior year during Spring and Summer of 2009 when my senior was almost at an end when I was 18 years old. 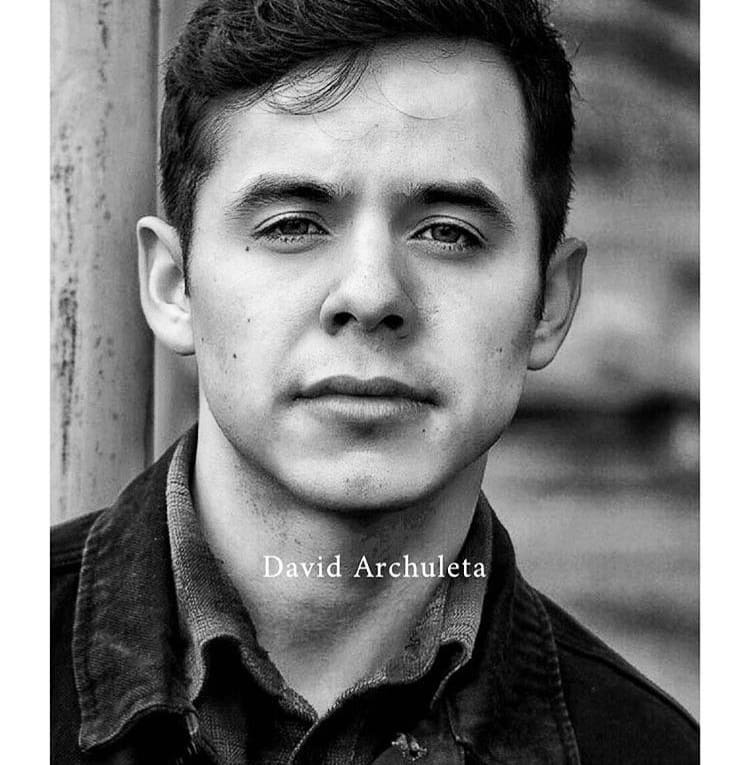 And if David ever gets to see this video I hope he loves it and I hope that everything turns out wonderful and happy for him in his life and his singing career. The only album that’s missing is the Christmas album. Leave him a comment if you wish. What a sweet video by Philip Jennelle! I went to leave a comment but comments are disabled. I hope David does get to see it. 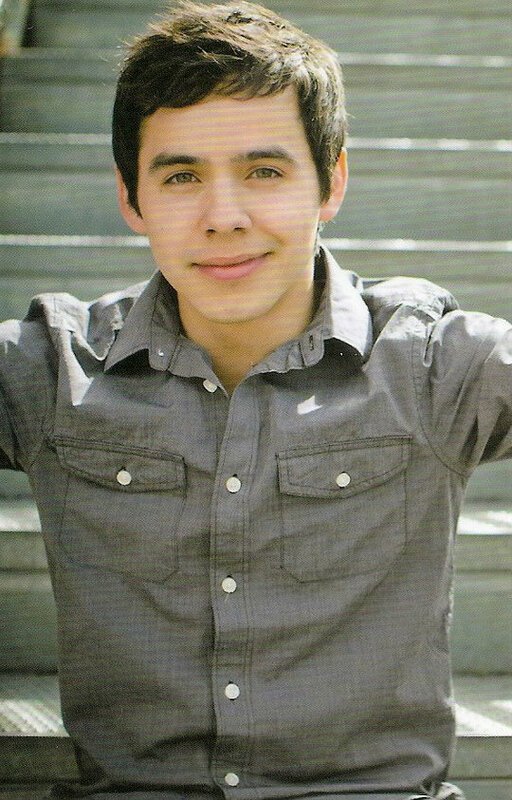 And I hope Philip gets to meet him one day! You must be logged in to comment. I had a conversation with Phillip just now. I am sure they are not disabled. 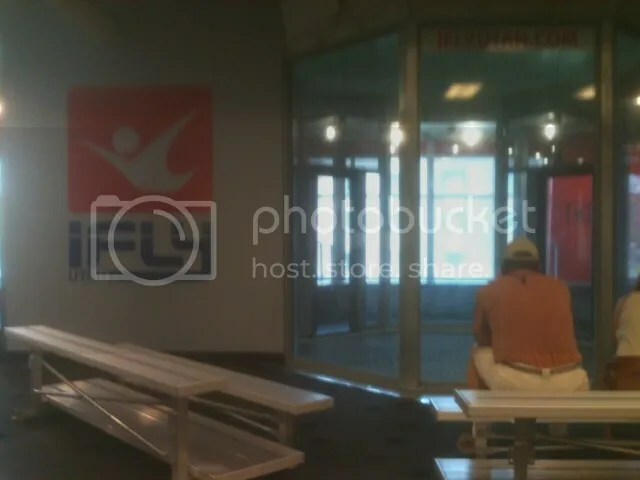 Dayzee you and yours continue to be in my prayers….Love the ifly pictures. Took a break from my day and was watching this. Miss this guy. Don’t you just love those sound check vids? My go-to vid is this one. I especially love 2:20-2:32. That ♫ “iiiiiiiiiiiiiiiiitt”♫ that goes on forever and the little dip afterwards. 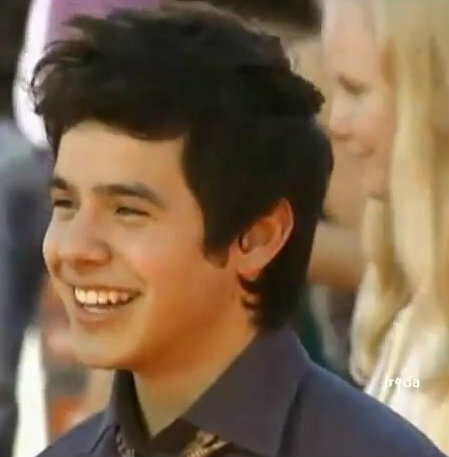 ♥ And the smile after he wishes someone happy birthday 1:48-1:54 is so cute. Soundcheck, Grand Rapids, Stomping The Roses. 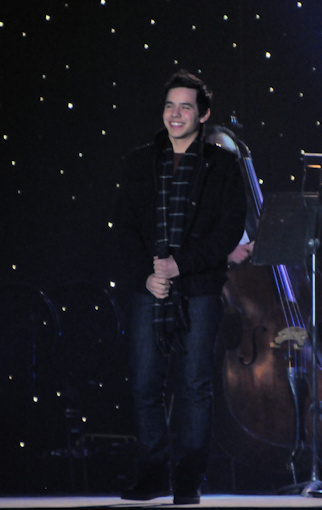 MT, Definitely love me some sound check David. He sure knows how to walk across a stage, he has so much natural swagger. Love this one. And this absolutely lovely profile. Pocoelsy made a great WWTT FLYER!!! 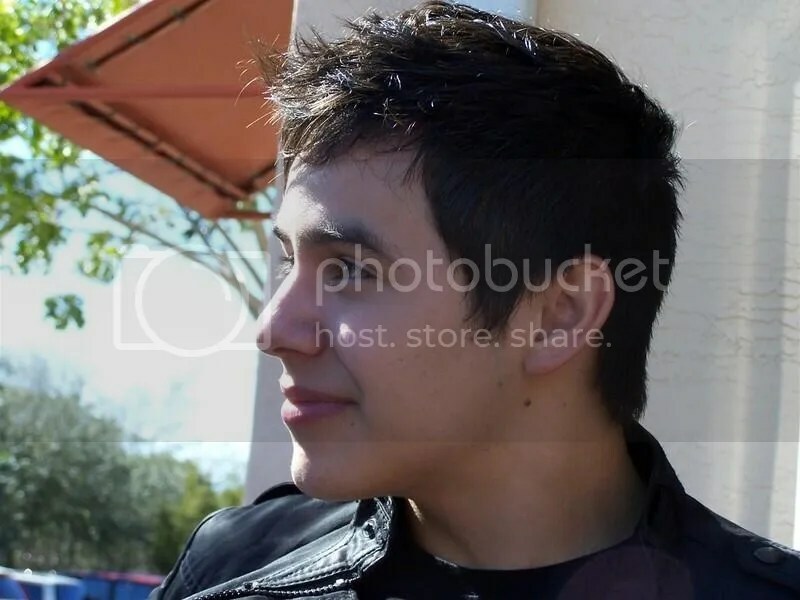 Yes that is an absolutely lovely profile. Is there someplace I can go to vote for that? And those soundchecks are better than anyone else’s finished product. Loved that sneaky little “happy birthday” just thrown in the middle of his song. Uniquely David. LOVE the pics you took with your beautiful grandaughter♥ and love the one with the shadow of your balloon! Utah has so much natural beauty..have been to the mountains a few times, but would love to go to Canyonlands and Arches. 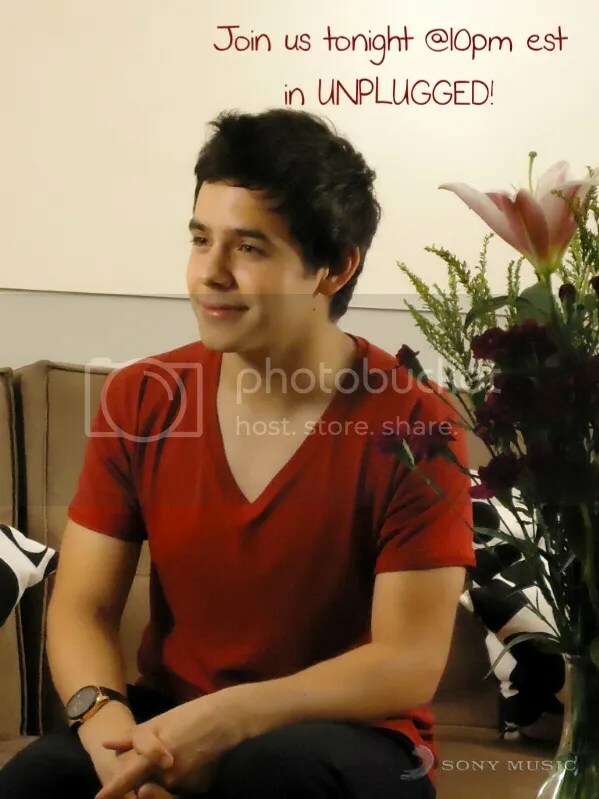 Angelica,love you in red♥ :)) “Ages ranged from 8 to 78, much like the demographic of David’s fan base.” hehe ghost towns and mining towns, love all the pics! Keeping your whole family in my prayers Dayzee♥ and hoping things improve soon for your son. Loving all these pics! an vip soundchecks. Gah! 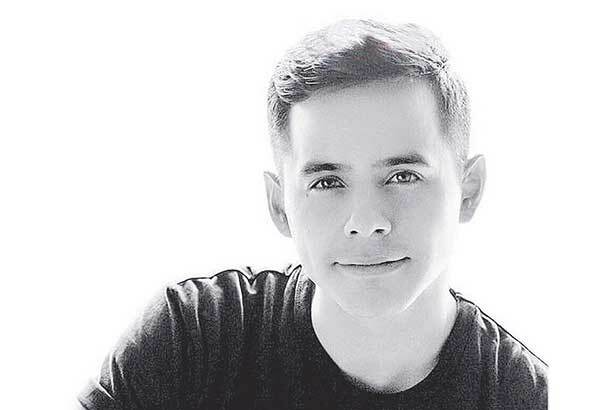 Rather than post a gazillion pics,Here is a link to Pinoy Archies FB page. 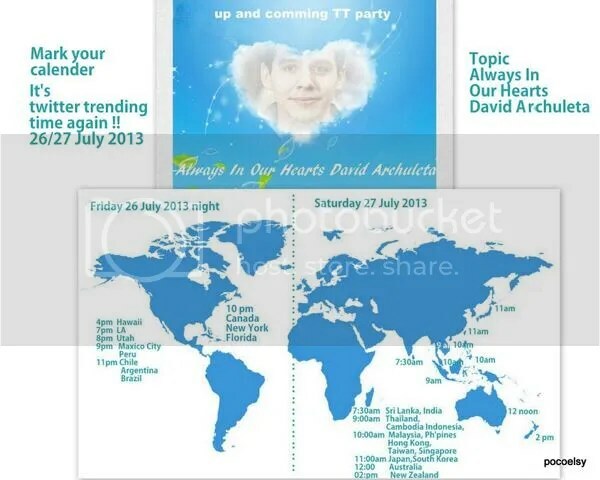 Thanks to our Asian David Archuleta fans for sharing! Abs, Don’t worry about chat; I will be there at 10PM and will hold down the forte until you get there. Some beautiful “Never Before Seen Pics” at that site! Thanks for the link!